On this National Peanut Butter Day – perhaps the nation’s most underrated holiday – we want to propose a toast (wheat, not white) to good old PB, that tasty treat that drives our canines companions nuts. Whether it be an afternoon reward or a sneaky way to get them to take their medicine, it’s an excellent source of protein for our pups. Not to mention, paired with a good toy, it’s also a lovely way to keep a pooch busy for a few hours! 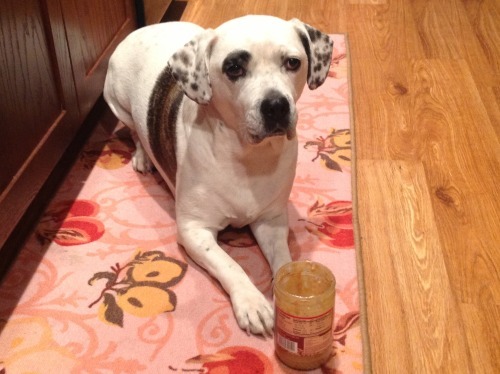 Here’s to you Peanut Butter, and the pups you make happy… especially the ones below! REMINDER: Although peanut butter is safe and contains lots of pawesome vitamins, only share in small quantities with your pup, and if possible go for the raw, unsalted brands. 1. 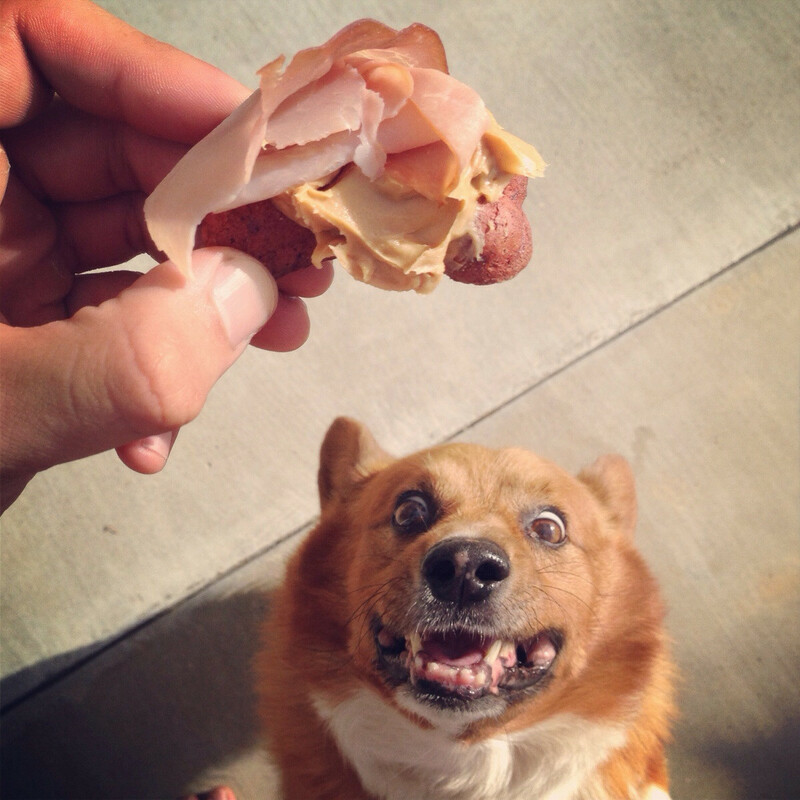 Peanut Butter keeps him young and corgeous. 4. That feeling when its sthtuck to the woof of your mouth. 7. Pup’s first taste and he’s hooked. 9. Shiba Pea-nu can’t get enough! 10. She could terrier through a whole jar. 12. Treat time is certainly a hot spot. 15. Cheeky pup can hardly keeps his eyes in his head for just a taste. 16. Chuffed for this Peanut Butty. 17. Puppy’s lip-smacking good time is labradorable. 20. 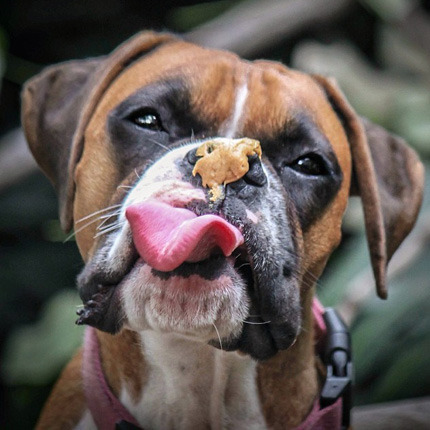 This Boxer duo is droooooling over the savory snack. 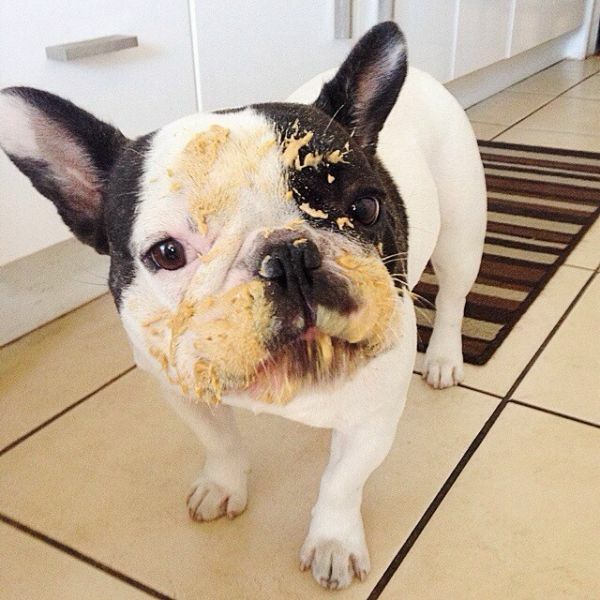 …Celebrate National Peanut Butter Day by spoiling your dog with this Peanut Butter surprise that will keep the busy all day long.